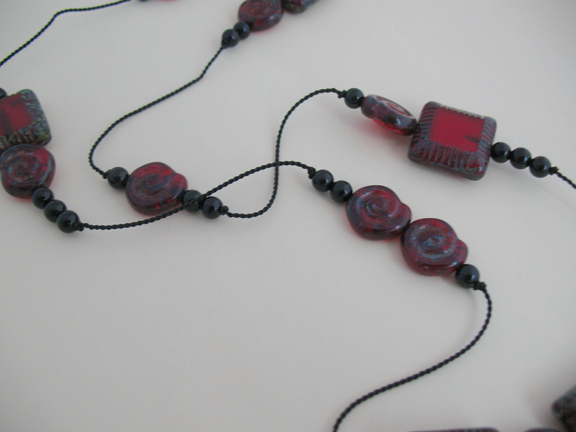 Sunday, May 22nd, 11AM: Bead Bazaar will be offering a FREE interactive demonstration to teach cord ending techniques. Using scrap pieces, students will learn how to attached clasps to thick cords and how to crimp flexible wire. These FREE demonstrations are a great opportunity for hands-on practice! Hammering Techniques on Tuesday, May 24th, 6:00-7:30PM: Students at a more advanced level are welcome to learn some hammering techniques! Previous wire working experienced is recommended so the instructor can focus on more advanced hammering techniques during the class. Students will not only learn how to hammer, but also be given tips about the different tools and wire choices available for hammering projects. All tools will be provided for the session. This hour and thirty minute class is $18 plus cost of supplies. Wire Wrapped Stone Pendant on Wednesday, May 25th, 6:00-8:00 PM: For students with some previous wire wrapping experience, this class provides a fun project idea to advance their technique. 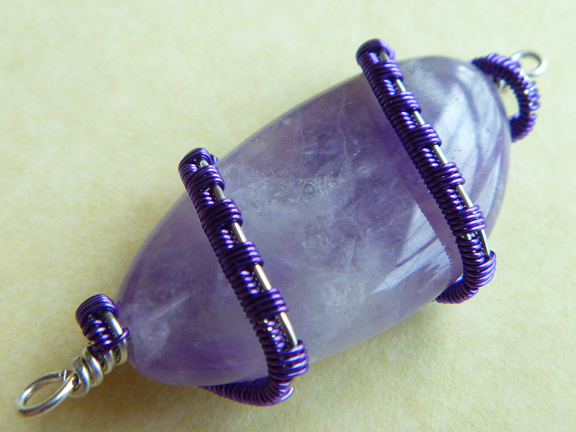 Two colors of wire are used to create interesting contrast while still complimenting the amethyst bead. Students are welcome to improvise on the sample; choose new colors or a differently shaped stone. This two hour class costs $24 plus supplies. Floating Beads Necklace on Thursday, May 26th, 11:30AM-1:30PM: As a twist on knotted bead necklaces, this project teaches students how to space segments of knotted beads evenly and how to tie knots snugly. 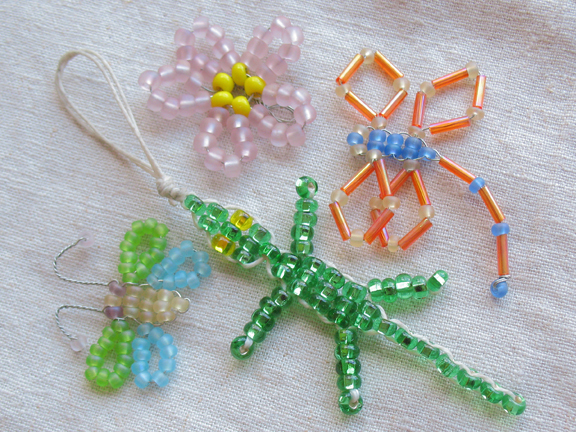 This class would be perfect for beaders of any level, from beginners to experts! After learning such a versatile technique, students will be able to create any number of knotted bracelets and necklaces. This two hour class costs $24 plus supplies. 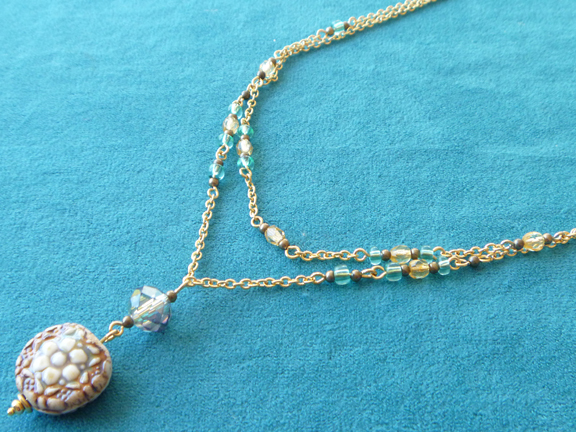 Spring Romance Necklace on Friday, May 27th, 11:30AM-1:30PM: Based on a popular winter sample, this project utilizes the basic loop technique to create beaded links between chain. This technique is excellent for beginning level beaders. 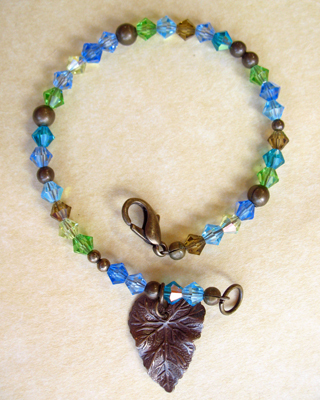 Two strands mingle with teal and sunflower yellow Czech glass, and a playful pendant at the base gives the project weight. This two hour class costs $24 plus supplies. Kid+Adult Teamwork Class, Saturday, May 28th, 11:30AM-12:30PM: This class makes a great teamwork project as each the child and the adult learn the techniques necessary to complete it. Kids are instructed as they build a beaded pendant in the shape of a flower, butterfly, dragonfly, or gecko. 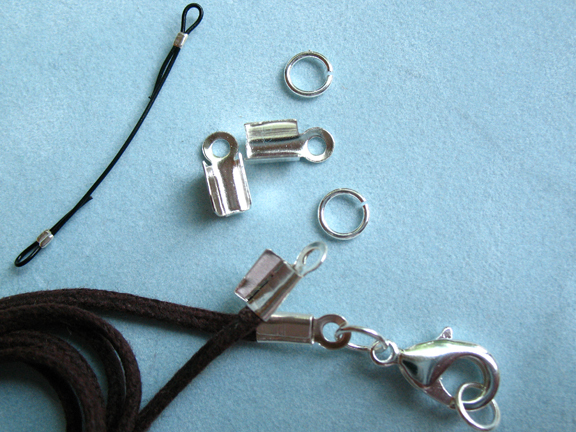 Their adult will then get to aid as the pendant is attached to a necklace. At the end of the class, students come away with a fun project they built together! This one hour class is $18 plus supplies. If you saw anything interesting here, be sure to stop by the store and register for the class! Students need to register at least two days in advance, and make sure to give yourself plenty of time to choose your supplies. Remember, we have thousands of different beads to choose from! Other class policies can be found here. See a class that you like, but can’t make it to? Let us know, because the Bead Bazaar repeats many classes. We’ll make sure to offer another chance to learn these fun techniques! Looking to amp up your spring and summer projects? Add a dose of sparkle with our new Preciosa bicone crystals! These Czech beauties are similar to Swarovski bicones, but come at a fraction of the cost, making crystal laden projects more affordable than ever. In celebration of our new stock, the Bead Bazaar is giving away a FREE string of our 4mm Perciosa bicones with any purchase over $15! Limit one free strand per purchase. This offer is good through the end of May, so make sure to come by and pick up your own FREE strand! There are 60 colors to choose from for your FREE strand, so come by and give yourself time to design and play! We’ll be seeing you soon! In preparation for Fairhaven’s Girls Night Out festivities, the Bead Bazaar has put together a necklace and earring set to model in the Fashion Show. 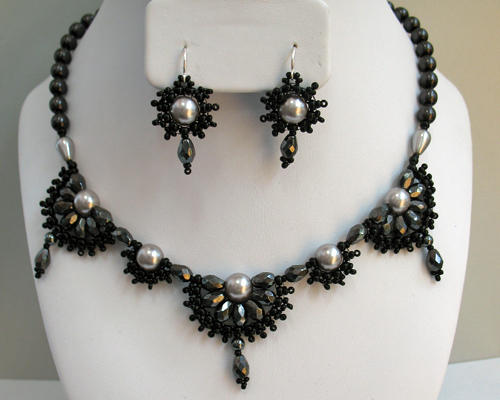 Woven with faceted Czech glass tear drops and glass pearls, this set is the perfect accessory for any formal event. Its shades of silver, charcoal, and black are elegant, while the scalloped design adds glamor. The best part: this luscious set only cost $18.10 to make! This piece and our sample for our Make-and-Take project (featured in last week’s blog) will be on display in our window through the evening of Girls Night Out. Make sure to catch the fashion show on Thursday, May 12th, and support Fairhaven’s efforts in the fight against cancer by purchasing a Girls Night Out passport here at the Bead Bazaar. We’ll see you then!